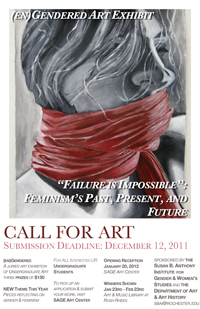 Entries for the 2012 undergraduate juried art exhibit are due. Submission forms can be picked up at Sage Art Center. Visit the (en)Gendered page here for more information about the contest.